What is the life expectancy? Life expectancy is normal. However, complications arising from falls or immobility caused by the symptoms of HSP may inadvertently shorten a person’s life. 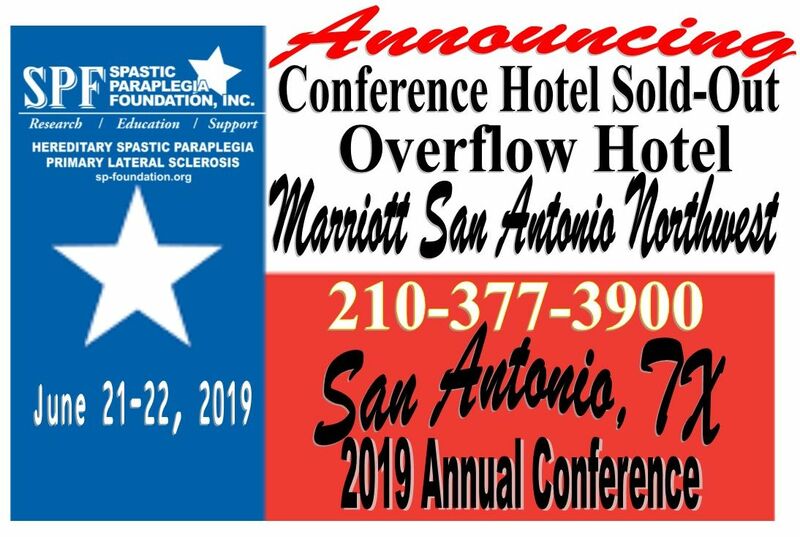 The 2019 Annual Conference of the Spastic Paraplegia Foundation will be held at the San Antonio Airport Hilton. Free self parking, complimentary Airport transporta-tion & wifi at a discounted rate of $109.00 per night. We are pleased that so many are attending our 2019 conference. The conference Hilton Hotel has closed the block of rooms, as they have generously overbooked the block. A new overflow hotel has been secured at the San Antonio Marriott North-west, 3233 NW Loop 410, San Antonio, TX, 78213-2866, (210) 377-3900, only 3.5 miles from the Hilton. Both hotels will provide shuttle services to and from the Hilton & airport during the con-ference. If you are planning to attend the Annual Conference, please call ASAP to book a room at the San Antonio Marriott North-west. Also, a friendly reminder, the last opportunity to receive a dis-count on conference registration fees ends on May 31, 2019.. This Hilton is 2 miles from the airport and 8 miles from downtown, The San Antonio Riverwalk and Mor-gan's Wonderland. Excitement is building about all of the incredible progress being made this year and next on PLS and HSP research. Click on the link below or emblem above to go to our Conference Registration page for more infor-mation. When Clinical Trials begin in 2019 it may require as many people as possible for the Clinical Trial to be effective. If you have HSP or PLS, please add your information to our data base so we can keep you informed. We are missing a lot people's email address, so if you just want to add your email address. just enter your name, address and email and we'll add it. That way, we will be able to reach you quickly at a lower cost. Your privacy is very important to us. We will never share any of your information with any individual or company without your permission. 87 cents of every dollar you donate goes into our mission of research and service. 7 cents goes to fundraising and 6 cents goes to data management and general expenses. Our all volunteer Scientific Advisory Board makes sure that we are supporting only the very best research projects on the planet. The Spastic Paraplegia Foundation is an all volunteer run foundation. 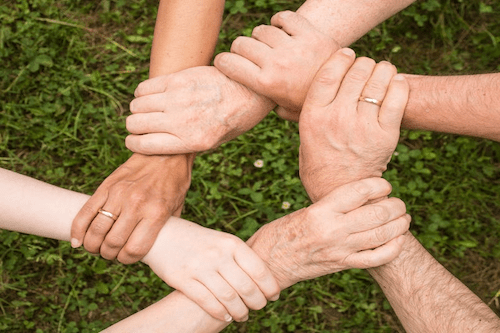 Our highly skilled staff, Scientific Advisory Board, Medical Advisors, CPA, Attorney, President, Board Members - all of us are working hard every day probono because we strongly believe in this cause. 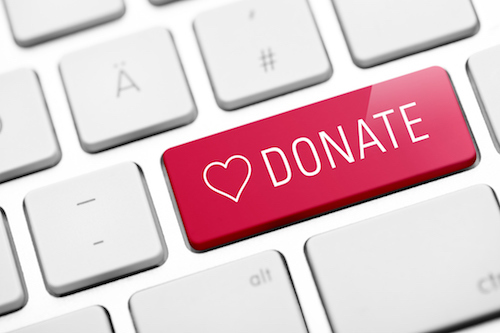 We know a cure is right within reach and we ask you to please join us in reaching by making a tax deductible donation.